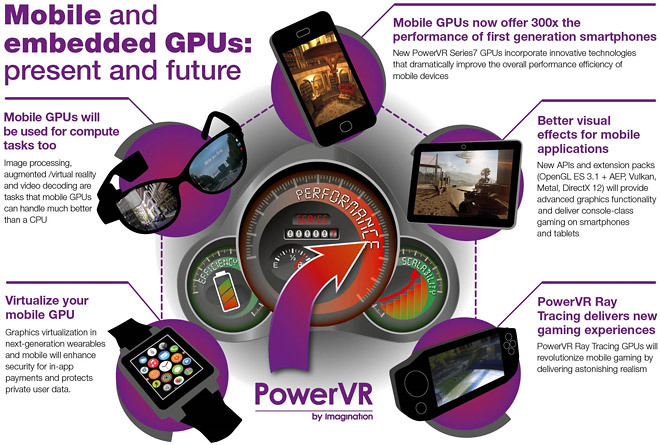 Imagination, the company behind the PowerVR GPUs found in iPhones and iPads among other smartphones and tablets, is excited about the future of mobile GPUs and has prepared an infographic for a crash course on how they will be used. The company introduced its Series7 family of GPUs and they will soon reach consumers, coming first on the MediaTek MT8173 chipset (which might also be the first one with Cortex-A72 cores). Back to the GPUs. The new ones are 300 times more powerful than the ones found in early smartphones and they support the latest APIs – OpenGL ES 3.1 with Android Extension Pack, Vulkan (next-gen OpenGL), Metal (Apple-specific) and Direct X for advanced graphics functionality. The GPUs will be roped in to help the CPU too, they can decode video, do image processing and assist virtual reality apps. 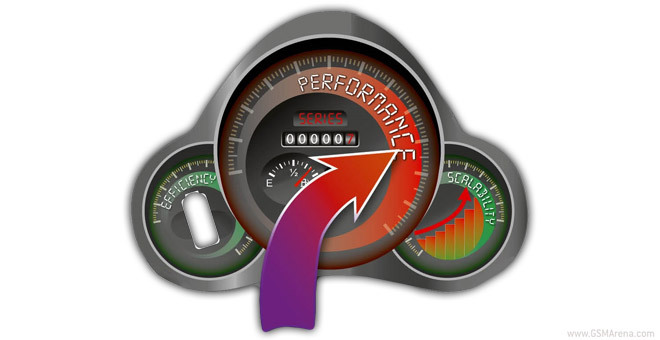 Also, part of the new software functionality includes virtualization – isolating apps from each other to improve security. PowerVR is also promising ray tracing – a 3D rendering technique that tries to simulate light physics instead of using approximations like virtually all current tech. Ray tracing is not a new idea, but no one has managed to get it to work in real time yet, it has been used for rendering CGI in movies for now.